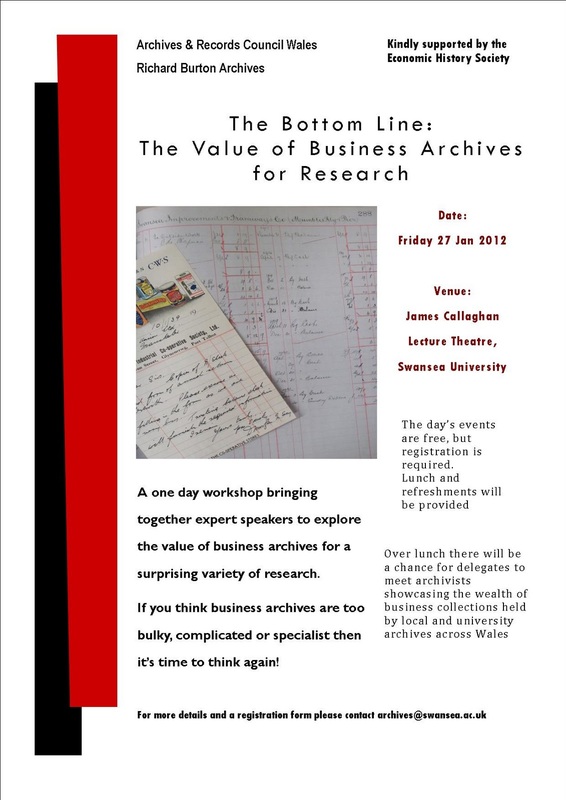 Archives and Records Council Wales and Swansea University present ‘The Bottom Line: The Value of Business Archives for Research’, a free one day workshop kindly supported by the Economic History Society. If you think business archives are too bulky, complicated or specialist then it’s time to think again! This one day workshop will bring together expert speakers to explore the value of business archives for a surprising variety of research. Over lunch there will be a chance for delegates to meet archivists showcasing the wealth of business collections held by local and university archives across Wales.